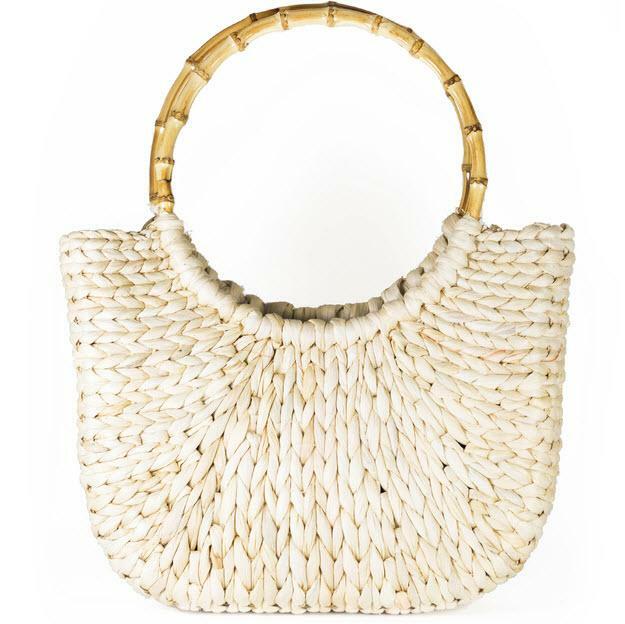 The Half Moon Tote is sure to become your go-to bag this summer. 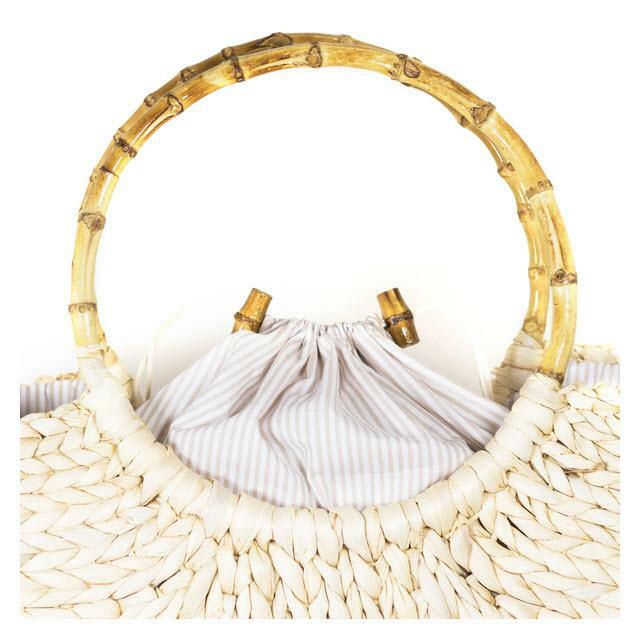 Generously sized and made with a 10 inch bamboo ring handle, this bag will fit comfortably over your shoulder. 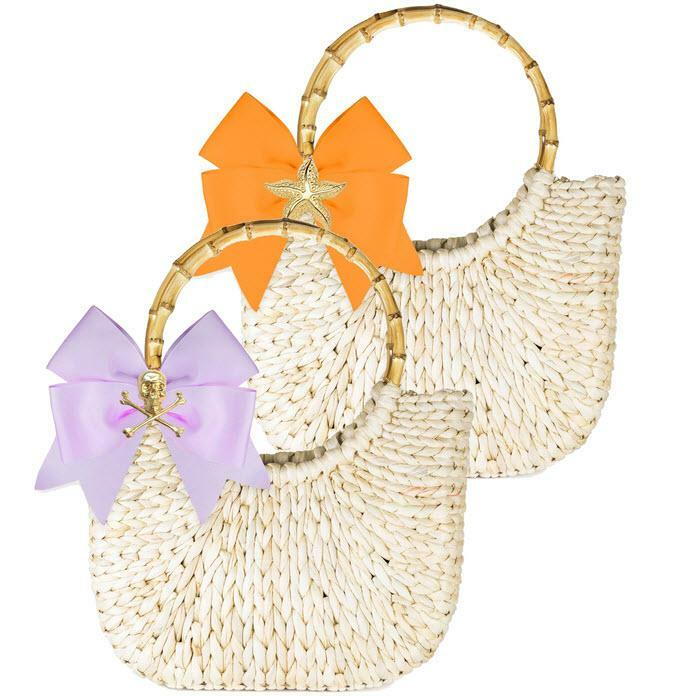 We have adorned this tote with our wonderful XL motifs and bows in fabulous colors. Small: 3" x 14" x 11"
Price: $94.00 In stock! - Browse this brand: Lisi Lerch JewelryOur products are custom made to your specifications. This product ships up to 1 weeks after your order is placed. Please select a bow color. Please select a charm for your bag.